When it comes to top of the line manufacturer of aluminium locknuts, there is only 1 choice for the cable gland sector – Kingpin. 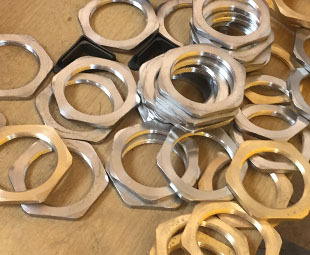 Our years of experience with the cable gland industry means we know that there are a lot of variations when it comes to sizes and shapes of locknuts. Without the right aluminium locknut, the entire cable gland can fall apart, which could lead to devestating consequences. That is why we strive to deliver the best products for the job, every single time. Our aluminium locknuts are lightweight, and yet durable. This makes them ideal for usage in suspended cable glands, where minimising weight without compromising on strength is vital. But our aluminium locknuts are also sort after for use in other industries – we often supply to the illuminated sign trade, for instance, as they too must keep weight down in their overhead signs. If you need a aluminium locknut you can trust, regardless of industry, Kingpin is the name you should trust. Quality is assured by the fact that we don’t outsource the task at hand – Kingpin manufactures every single product we supply in-house. That should give you peace of mind that everything you order from us has been made to our own high standards. – High quality aluminium locknuts – We want the cable gland industry to know that Kingpin is a name you can trust, so all of our products are of the highest quality. – Precisely engineered items – You can check our items with any test you see fit, as you’ll find they are made to your exact specifications. – Rapid manufacturing times – Our highly trained staff and high level of tooling assures we can get to work on your products ASAP. Our range of earth tags, available in a wide range of materials and sizes, are second to none. They provide a vital safety measure in earthing the cable gland. Aluminium isn’t the only material we manufacture in. 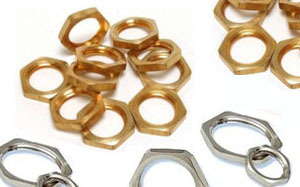 For a full list of locknut materials available, click above. 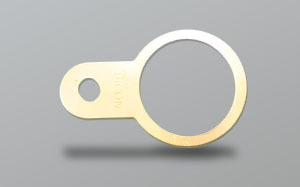 Kingpin’s washers protect the internal workings of the cable glands. 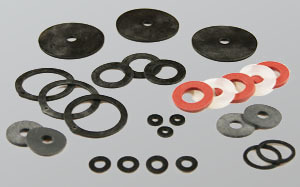 We manufacture them in a selection of sizes and materials.